Hosted by Ant Anstead and Dr Hannah Fry (pictured above), seven celebrities will raid the archives and champion one object each, exploring the science and history behind the inventions that have defined modern Britain. Britain’s Greatest Invention, a 1x90’, is made by Thoroughly Modern Media, in association with BBC Learning and produced in partnership with The Open University. The Executive Producer is Jay Taylor. The BBC Commissioning Editor, Science, is Craig Hunter. In Horizon: 10 Things You Need To Know About The Future (w/t), Dr Hannah Fry and some of the BBC’s top science experts investigate the questions the British public want answered about the future. From everyday life to health and medicine, they’ll go to the cutting edge of science to discover how our lives could change – not just in the far future, but what’s just around the corner. Horizon: 10 Things You Need To Know About The Future (w/t), a 1x60’ for BBC Two produced in partnership with The Open University, is made by BBC Studios. The Series Editor is Steve Crabtree and the Producer is Peter Leonard. Fixing the Future: The Great Village Green War (w/t) follows Red Dwarf comic actor and green energy enthusiast Robert Llewellyn’s year-long campaign to persuade residents of his idyllic Cotswolds village, Temple Guiting, to generate more of their own power through renewable technology. Robert (pictured above) takes inspiration from the extraordinarily rapid change in energy supply happening in perhaps the most surprising of locations - Las Vegas. In the neon-drenched gambling capital of the world, a revolution is under way as the city attempts to power itself entirely by renewable electricity in 2017. Fixing the Future: The Great Village Green War, a 1x90’ for BBC Four, is made by ClearStory Ltd. The Executive Producers are Russell Barnes and Molly Milton and the Director is Andy Mosse. The BBC Commissioning Editor, Science, is Diene Petterle. The Toughest Job In The Universe (w/t) will see 12 men and women from all over the UK take on elements of the most extreme and demanding selection programme, normally reserved for real-life astronaut candidates. Former astronaut and Commander of the International Space Station Chris Hadfield, alongside Kevin Fong and Dr Iya Whiteley will lead the selection programme based on the space agencies’ application criteria. The first Canadian to walk in space, Chris will share the lessons he learnt that helped him succeed during three space missions and 166 days in space. 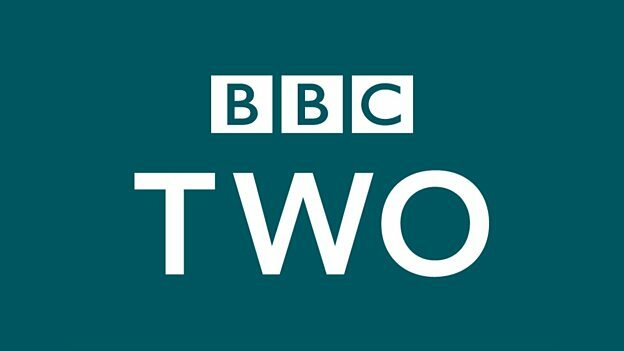 The Toughest Job in the Universe (w/t), a 6x60’ for BBC Two, is made by BBC Studios. The Executive Producer is Helen Thomas and the BBC Commissioning Editor, Natural History and Specialist Factual, is Craig Hunter. Professor Stephen Hawking thinks the human species will have to populate a new planet within 100 years if it is to survive. With climate change, overdue asteroid strikes, epidemics and population growth, our own planet is increasingly precarious. In this landmark series, Expedition New Earth, he enlists engineering expert Prof Danielle George and his own former student, Christophe Galfard, to find out if and how humans can reach for the stars and move to different planets. Taking in the latest advances in astronomy, biology and rocket technology, they travel the world in search of answers. From the Atacama desert to the wilds of the North Pole, from plasma rockets to human hibernation, they discover a whole world of cutting edge research. The journey shows that Prof Hawking’s ambition isn’t as fantastical as it sounds – that science fact is closer to science fiction than we ever thought. Expedition New Earth a 2x60' for BBC Two is a Brook Lapping production, in partnership with The Open University. The Series Producer is Lucy Haken and the Executive Producer is Greg Sanderson. The BBC Commissioning Editor, Science, is Diene Petterle. How To Stay Young returns for a new series with a different format. Dr Chris van Tulleken (pictured below) and Angela Rippon join some of the country’s leading health experts to turn-around the lives of people whose bodies are much older than their actual age. Using the latest scientific research on ageing, the expert team will try to help volunteers bring their body age back in line with their birth age in just 12 weeks. Ten million operations are performed in the UK every year, and a new four-part science series, Operation, focuses on the pioneering work taking place in the operating theatres of Queen Elizabeth Hospital Birmingham. With 30 theatres under the same roof, numerous life-changing and life-saving procedures are performed here each day, and Operation will lift the lid on the advanced science and new technology being deployed by the surgical teams operating at the cutting edge of medicine. From robots assisting with keyhole surgery, to burns being healed with synthetic skin, and facial reconstruction with the help of a 3D printer, this series will reveal the extraordinarily innovative and experimental procedures that take place on the frontline of medical science. With 360-degree access to hospital staff and patients, and specialist cameras equipment revealing never before seen details, Operation will give an unprecedented insight into the science behind the modern medical miracles that take place in NHS operating theatres every day. Operation, a 4x60’ series, is made by Dragonfly Film and TV. It was commissioned by Tom McDonald, Head of Commissioning, Natural History and Specialist Factual. The Commissioning Editor, Science, is Craig Hunter and the Executive Producers for are Richard Bond & Simon Kerfoot. A new three-part series, Secrets Of The Human Body, traces the journey that every one of us makes, from baby to baby-maker and beyond. It explores the knife-edge margins of life and death we steer every second of every day in order to survive. Underpinned by the very latest, cutting-edge research and revelatory graphics, the secrets of the human body will reveal the extraordinary and surprising secrets that define what it is to be human. The series will challenge what we think we know about ourselves and change the way we look at ourselves – forever. How does a person know their gender? Do they see themselves as male or female or somewhere in between? Increasingly, people around the world do not identify with the gender they were assigned to at birth and at the same time the lines of gender are becoming more blurred than ever. In this insightful and intimate film, Horizon will explore what it means to be transgender and what happens when a person transitions psychologically, physically and biologically. Horizon: Being Transgender, a 1x60’ for BBC Two, is made by BBC Studios. The Series Editor is Steve Crabtree, Series Producer is Rob Liddell and the Producer/Director is Sreya Biswas. Horizon: Can You Cure A Psychopath? Presented by psychologist Professor Uta Frith, Horizon: Can You Cure A Psychopath? is an in-depth exploration of the psychopathic mind. Through a series of candid interviews with prison inmates Horizon explores not only how each individual’s crimes were shaped by their own life experiences, but also giving an insight in to how these people think and behave. Trust Me, I’m A Doctor is a popular health magazine show that gets behind the hype and the headlines to find the truth about what’s really good for our health. Michael Mosley (pictured above) leads a team of practising doctors to seek out the latest research and run major new science experiments involving hundreds of volunteers across the UK. What’s the best way to beat stress? Is coconut oil really the wonder-food it’s claimed to be? Is a vegan diet good for you? Should we all get up an hour later? The Trust Me team dispel the myths and misconceptions to give you the health advice you can trust, and this series, will also be looking at mental health. Trust Me, I’m A Doctor is made by BBC Studios. The Executive Producer is Jacqueline Smith, and the Series Producer is Matthew Barrett. The BBC Commissioning Editor, Science, is Diene Petterle.